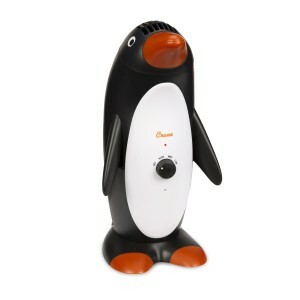 OK, super glad to have stumbled upon these super cute air purifiers from a company called Crane. They make for a perfect addition to a nursery or child’s room (or your room of course!) and have safety features built-in with children in mind. Don’t let their adorable looks fool you. First and foremost they are highly effective air purifiers – clearing the air of unwanted pollutants like dust, pollen, mold spores, mildew, pet dander, dust mites, bacteria and other germs. 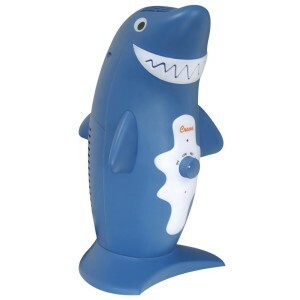 Aside from appearance, the penguin and the shark are identical air purifiers. 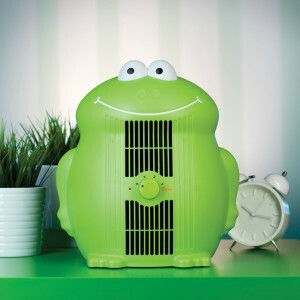 The frog air purifier is somewhat smaller than the others, has a lower price tag and a less comprehensive filtration system – but he was just too cute to leave off the list :). True HEPA filter: Removes 99.97% of airborne particles and allergens such as mold, pollen, dust, pet dander, smoke and dust mites. Germicidal UV Light: Destroys bacteria, viruses and other airborne organisms such as mold spores and mildew. Super quiet fan with three speed settings. Auto shut-off if tipped over. HEPA type filter: Removes 95% of airborne particles and allergens such as mold, pollen, dust, pet dander, smoke and dust mites. Activated carbon filter: Absorbs odors, gases and fumes.